Snowy mountains reflected in lake. Severe mountains peaks covered by snow. 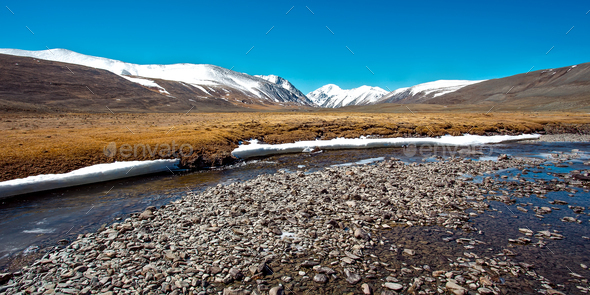 Russia, Siberia, Altai mountains, Chuya ridge.